Light is a primary necessity for development. 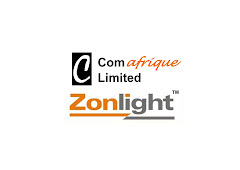 The ComAfrique-InteliZon Initiative is a basic Sustainable SOLAR Rural Lighting Project that combines Individual & Corporate Social Responsibility with Local Village participation, at an AFFORDABLE cost to make it genuinely possible to provide basic clean Light to Rural Areas in Africa. ComAfrique & InteliZon have strategic partners in moving this initiative forward in Africa. TATA Africa Senegal first took the lead and through Safari Motors in The Gambia sponsored a Village. In India, Wenders Group led by Mr Hari Krishnan Nair (CEO of Western India Cashew Company) has been a staunch supporter of the Initiative and are sponsoring a vilage in The Gambia as well. We invite Corporates, NGO’s and Government Departments to come forward, Sponsor and “Light Up a Village” with Solar ZonLights and ZonHomes. ZonLights and ZonHomes are simple yet DURABLE Solar LED lights that provide amazing white light using high technology from InteliZon India. The ZonLights give upto 7-9 hours light with a 6 hour Solar Charge. The ZonHomes give upto 15-17 hours of light with a similar charge. They require no complicated installation. Each Light has a ONE Year warranty. The Batteries are Li-Ion and last upto 2 years depending on use. Replacement batteries are economical and easily available. The LEDs and Solar Panels could last from 5-7 years. Under this initiative, Each Village (of approximately 25 households) is Sponsored by a participating Corporate, NGO, Individual or Government, providing about 50-70 ZonLights for the households and 5-7 ZonHomes for the School, Community Centre, Village Chiefs house, Medical Centre, Police Station, Mosque or Church, , etc. (The final configuration can be altered depending on size of the village and requirements). The Sponsorship value is approximately 2,600 to 3,000US$ per Village). The Initiative is then made SUSTAINABLE by INVOLVING VILLAGERS. A Village ZonLight Committee is first set up. The Committee should ideally comprise of the Village Chief, a dynamic youngster and a dynamic woman of the village. A few village elders could also be taken on in larger vilages. The Committee provides the ComAfrique-InteliZon implementation team with details of each village : Name of the Village Chief, approximate population, number of compounds, number of households, average spending per household on candles and other sources of light, etc. Based on this information, the final configuration of the sponsorship is drawn up. The Sponsor is invited to hand over the lights to the Village Committee at a special simple ceremony at night. The Ownership fo the Lights is with the Village Committee and the Committee then hands over the lights to each of the recipient Villagers. The Head of Each family receiving each light then formally and publicly engages with the Village ZonLight Committee to pay a minimal sum of ONE Dalasi per Day (approx 0.04US$) or 30 GMD per Month for each sponsored light. (This is very low compared to the 5-6 GMD spent on a candle per day and is safer too). This money is paid to the Village ZonLight Fund which will be managed by the Committee. This fund generates an income of 360GMD (approx 13 US$) per Light per year for the Village. This fund can then be used to purchase replacement batteries in two years (life of the Li-Ion battery), which cost 175GMD (approx 7US$) for ZonLight and 250GMD (approx 9.50US$) for ZonHome. Since the ZonLights and Zon Homes will last from 5-7 years, this fund will grow in surplus. The ZonLight fund then can be used to replace the ZonLights or ZonHomes and can even be used to ADD the number of Lights in the Village. The Village ZonLight Committee will monitor the payments from Villagers and set Village rules for the usage of the Village Light Fund. This fund should ideally be used only for Lighting up the village with ZonLight. If the Village ZonLight Committee and ZonLight fund are run properly, the Beneficiary Village will NEVER be Dark again. In addition to providing Light in the villages, the initiative also encourages co-operation and organization in the village for a civic amenity. The ComAfrique Initiative has commenced in The Gambia with the first four villages being identified by His Excellency, The President of The Gambia, Sheikh Professor Alhagi Dr. Yahya A J J Jammeh. H E has sponsored two villages (Bujingha & Jirramba) and ComAfrique Limited and TATA Africa-Safari Motors Sponsored the other two (Jakoi & Battendeng) respectively. RIGHT CHOICE SUPERMARKET, have immediately offered to sponsor another village and we will request H E to kindly nominate the Village. The Initiative has begun. It is upon us to take it forward.